Wooden windows have a lot of advantages. First of all, they perfectly retain heat even without additional glass packet. The second important quality is aesthetics. Only a beautiful wood coated with varnish can give the room a cozy and warm look. But all these advantages are fully compensated by one unpleasant disadvantage: by the time, a whole replacement of your old windows is required. They decay, sometimes rot and deteriorate, so a partial replacement is not enough. That's when we come to the rescue. 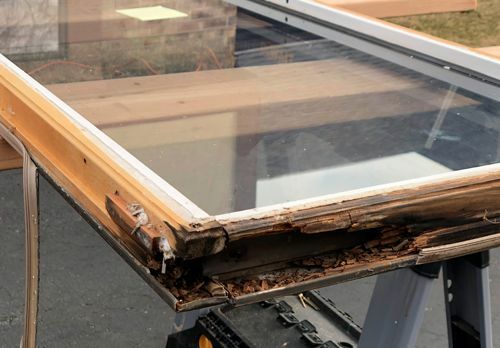 So, if you like for the wooden windows not to spend most of your family budget, it is better to timely detect signs of damage and call our repair team to eliminate it. Restoring windows from a completely bad state will cost much more. Windows can be easily restored and completely rebuilt. If paint exfoliated at your windows or there is frame surface get cracked or all windows were deformed, we will be fully able to recover your windows with expert’s assistance. We offer only the best material available saturated with antifungal stuff which makes it very close to original. It is much cheaper in comparison with the purchase of new windows. low-e, reflective, tempered glass replacement. 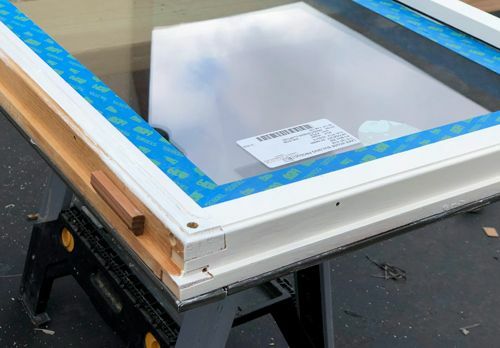 Window restoration is a great alternative to replacing them with new ones, as the fitting of factory window costs much more than restoration work done. 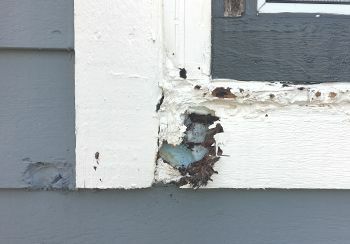 Strong, well-preserved wood is often found even in the oldest wooden windows under a layer of old paint. Modern methods and technologies for the windows restoration allow perfect opportunity to get back their aesthetic appeal, increasing their reliability, improving functional qualities and extending their service life. The restoration can give the wooden windows not only good condition but also the new designer look. The need for the restoration of old windows depends largely on the frequency and quality of their care. The more often and better care will be provided, the less often they will need restoration. All windows gradually wear out over time and their geometry and tightness are disturbed, which can lead to big troubles, for example, blowing, drafts, penetration of noise and dust into the room. The glass is always the most vulnerable point in the design of any window. Leaving windows frame open without properly fixing, careless handling when its closing and opening, some object is thrown into the window - all this inevitably leads to the wooden window glass to crack or break. In this case, its complete replacement is necessary. Glass replacing is also often required for scheduled window repairs. Scratches, chips, cracks that may be on the glass, affect not only the aesthetic appeal of the window but also its heat-shielding qualities. Therefore, if you detect any, even minor damage, then your old glass urgently needs to be replaced with a new one. If the solution of this problem is postponed, then even an imperceptible crack with time can turn into a real gap, which will lead to the complete destruction of the glass. We carefully do isolated glass repair - single wooden windows, double suspended windows, and sliding doors as well as any of skylights. Thank you for incredible job that you did for my windows. Crew was very polite and hardworking. In two words very professional. Home Window Repair & Glass Replacement in Naperville focuses on any type of windows refurbishment for office and residential property. We specialize in wooden windows high-quality restoration, broken glass repair and replacement. When there is a rotten wooden frame and sash or damaged sill, then before you decide on the complete door or window replacement, just call us for quick assessment and problem-solving. 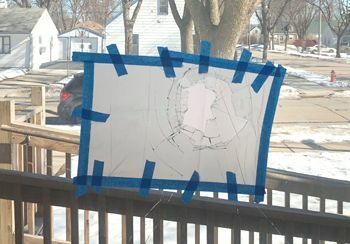 Home Window Repair & Glass Replacement in Naperville can help you in a short time frame. Our evaluation of your windows completely free of charge and besides, we are here to help with your repair expenses. 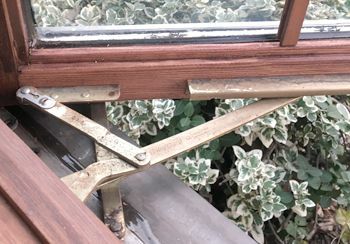 We also do home window repair, including mechanism fixing and alinement as well as any other windows and doors hardware. Get to glass replacement in Naperville for all your glass problems and repair! We are here to help you!